According to the ABC affiliate KAAL-TV, two Guns N' Roses fans on their way to see the band perform in Las Vegas face drug charges after being busted with meth, marijuana, prescription pills and LSD. An Olmsted County sheriff's deputy spotted a vehicle in the 300 block of Fifth Street SW in Eyota, Minnesota just before 2 a.m. on April 7. When the deputy approached the vehicle, it smelled like marijuana, authorities say. Inside were two men who said they were on their way to Nevada from Wisconsin. The deputy conducted a search through the vehicle and found a small amount of meth, 20 grams of marijuana, at least 50 prescription pills and some LSD. 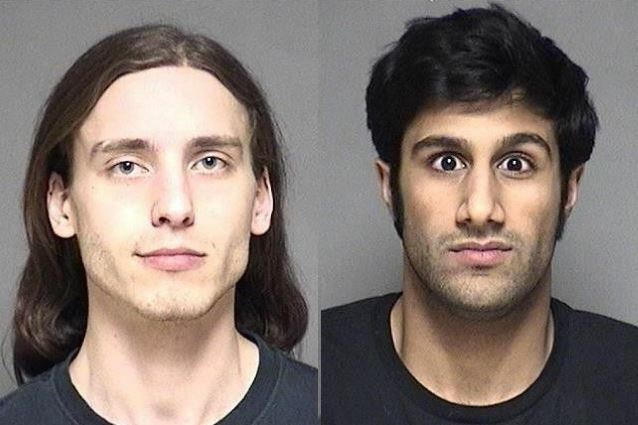 Dane Johnson and Vikram Gill, both of whom are 24 years old, were arrested and are still behind bars. Each faces a felony drug charge.